Celebrating 100 years of serving local Pacific Northwest businesses. Our approach to linen and laundry is unique, just like you. 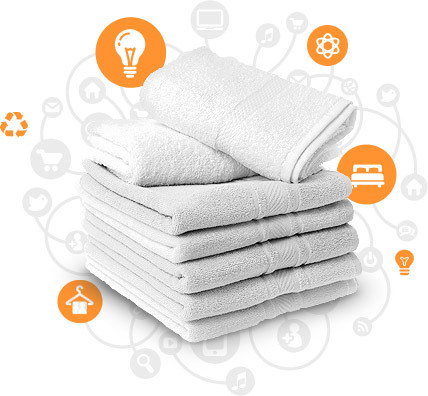 New System Laundry is committed to helping your restaurant or healthcare facility look great and run smoothly with innovative technology, superior quality and exceptional service. This has been our charge ever since George H. Rawlinson got the first rinse cycle started in 1917. As a family run, fourth-generation laundry service company, we understand the demands of local businesses and strive to constantly focus on customer satisfaction through flexibility, innovation and sustainability. We have fun, remain passionate and endeavor to always do the right thing. These are the principles that have driven us for over 100 years. To enhance our customers’ Image while creating a Legacy of Quality and Integrity.